Proper cloth change-out is critical to efficient, effective filter press operations. Micronics provides you with both the Tools & accessories and helpful “How-To” tips to make CGR filter cloth installation and removal a whole lot easier. 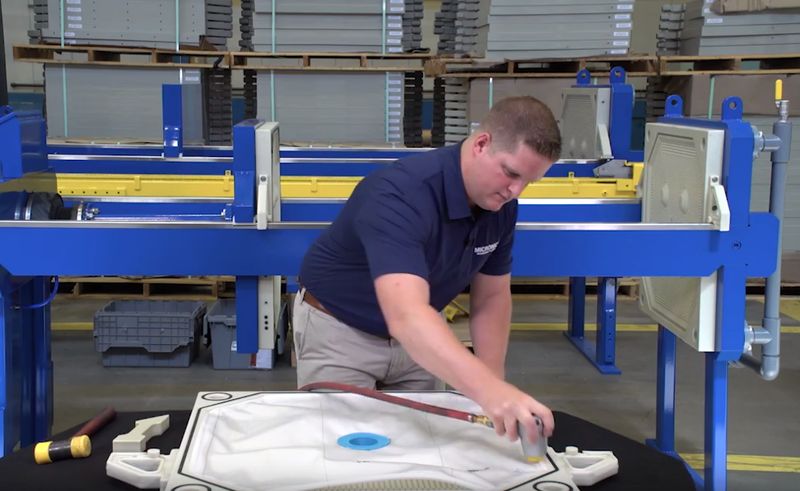 Check out our series of new How-to Videos on the Filter Cloth Overview page, and see how Micronics can help you minimize operator fatigue during CGR Filter Cloth Installation!